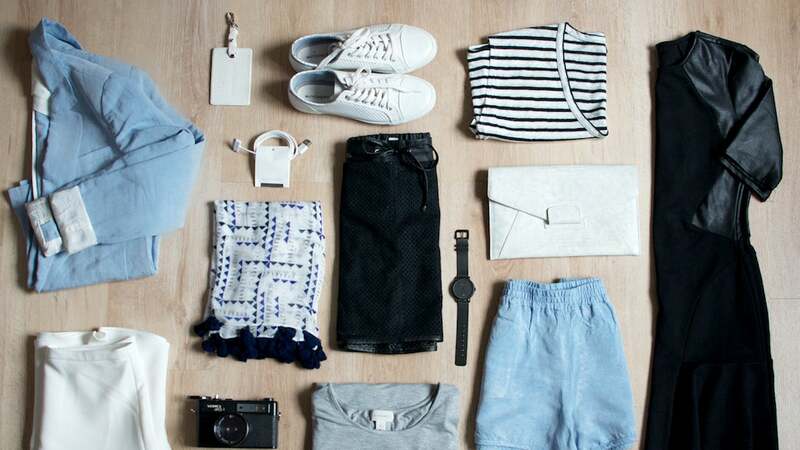 As personal finance site Money Ning explains, a capsule wardrobe is simply a very small collection of versatile items that you love — not like, not thought was cute at the time, love. Each item should, ideally, be able to pair with multiple other things in your wardrobe, giving you the flexibility to mix up your outfits without having to buy an entirely new set of clothes to do it. Getting to capsule wardrobe status takes a few steps. First, you need to identify a base style that you like. Then, get rid of anything in your wardrobe that doesn't fit that style. You don't have to throw out your wedding gown, but that t-shirt you've been holding on to "just in case" you ever need black tee that says "I'm not crazy, my parents had me tested"? Yeah, you can get rid of that. What you should be left with are clothes you're happy to wear that fit your style. If you need anything else on top of that, incrementally add things that you can use in multiple outfits. If something you buy only really looks good with one thing, consider leaving it out. Capsules aren't huge, after all, and you need to use your limited space wisely.